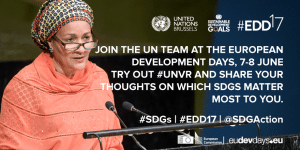 The United Nations University Institute on Comparative Regional Integration Studies (UNU-CRIS), established in 2001, is one of the research and training institutes of the United Nations University (UNU) network. UNU is the academic arm of the United Nations, headquartered in Tokyo. The network consists of 19 institutes and programmes worldwide, engaging in research and capacity development in order to support the universal goals of the UN. Through UNU, leading scholars from around the world are brought together to generate innovative and policy relevant knowledge, contributing to a brighter future. The specific mission of UNU-CRIS is to foster a better understanding of the processes of regional integration and cooperation and their implications in a changing world order. 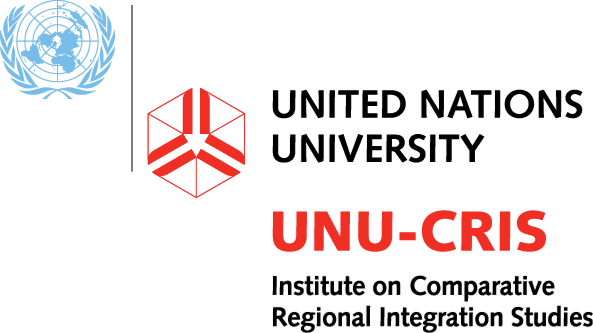 UNU-CRIS specialises in the comparative study of regional integration, monitoring and assessing regional integration worldwide and in the study of interactions between regional organisations and global institutions. The Institute proudly celebrated its 10th birthday in 2011. 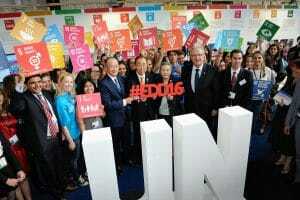 The guiding principles and policies of the global UNU system are established by theUNU Council. Advice on research and capacity-building activities for UNU-CRIS specifically, is given by the institute’s Advisory Committee, composed of distinguished personalities from different regions of the world. The Director of UNU-CRIS, which is currently Dr. Luk Van Langenhove, holds the overall responsibility for the research and management of the Institute. In order to pursue its academic goals, UNU-CRIS relies on a team of dedicated permanent academic personnel , non-resident associate research fellows, visiting researchers, interns and trainees. UNU-CRIS is based in Bruges (Belgium) at the second floor of the premises of the Episcopal Seminary (Grootseminarie). It receives its core funding from the Flemish Government and collaborates with the College of Europe. UNU-CRIS is further supported by the Province of West-Flanders. As a UN Agency, UNU-CRIS is also a member of the UN Team in Belgium. For more detailed information about UNU-CRIS, please consult the latest version of the UNU-CRIS brochure. In today’s interconnected and globalised world, multilateral relations are no longer exclusively built on interstate dynamics and numerous new actors have stepped onto the global stage. Even though sovereign states are still seen as the key actors in international relations, they are often either too small or too big to adequately respond to a number of challenges. This is why states build regions within, above or across their borders. These regions, greatly varying in size and power, are gradually taking up competences that once belonged to states. The emergence of new regional actors has led to new forms of governance with foreseeable consequences regarding global governance. With its research programme, UNU-CRIS aims to develop a better understanding of the different existing models of governance. The programme has one ongoing research project: GR:EEN. All over the world, we are witnessing processes of regionalisation taking the form of cooperative arrangements or integration schemes. Groups of states initiate and support regionalisation processes, inter alia, to improve their political links, to reap the gains from expanded trade in goods and services, to strengthen financial links, to benefit from risk-sharing and better investment opportunities, and to secure their regional environment. This research programme aims to monitor regionalisation processes worldwide and to collect quantitative data and qualitative information. To this end, it seeks to advance new monitoring and assessment methods and to develop appropriate tools for retrospective measurements and prospective foresight of regional integration processes. 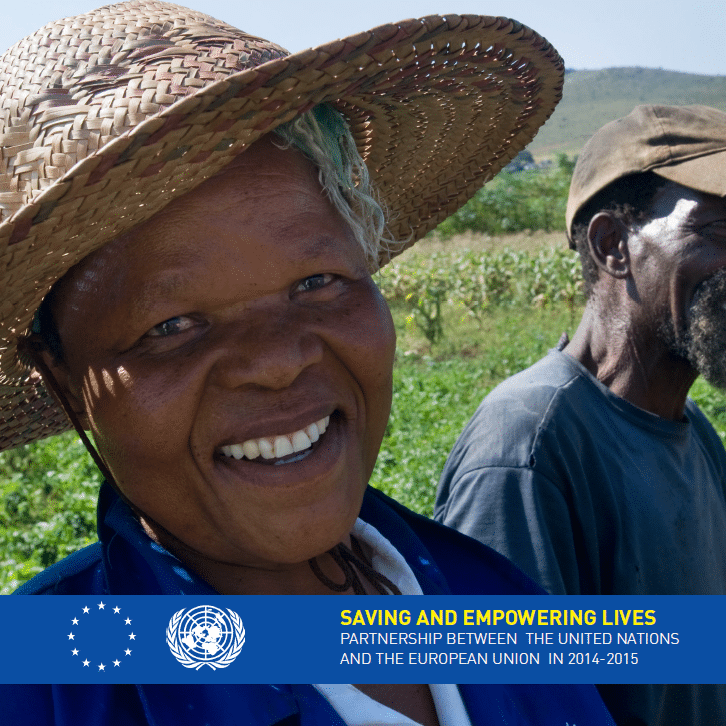 The programme also supports the monitoring efforts of specific regional organisations. There are currently two ongoing projects: RIKS and The World Report on Regional Integration and Governance. Nowadays, global challenges such as climate change, terrorism, violent conflict and poverty tend to be tackled globally. Evidence however suggests that some issues are more effectively dealt with at a regional level. The provision of public goods and services needed for development is one of these. Regional health programmes, regional energy cooperation or regional social policy are just a few examples. Regions therefore have an important role to play in global governance: ensuring adequate provision of global public goods. UNU-CRIS is currently engaged in three research projects that are part of this programme: GRESI FWO, UNESCO-UNU Chair and PRARI. At the Maastricht Graduate School of Governance in the Netherlands, UNU-CRIS and the United Nations University – Maastricht Economic and Social Research Centre on Innovation and Technology (UNU-MERIT) offer the students studying for a Master’s degree in Science in Public Policy and Human Development (MPP) a specialisation on Regional Integration and Multi-Level Governance. Given the growing complexity of policy making and analysis, there is a growing need for trained specialists who combine a high level of academic scholarship with leadership to strengthen democratic governance in domestic and international organisations. The Master’s programme aims to prepare students to actively participate in the policy process, as policy designers or analysts, as civil servants, or as academics. Besides this specialisation, UNU-CRIS offers MPP students the possibility to undertake an internship or to write their Master’s thesis at UNU-CRIS in Bruges. The Erasmus Mundus Joint Doctorate on “Globalsation, the EU, and Multilateralism” (EMJD-GEM) is a five year programme aimed at fostering first-rate interdisciplinary doctoral research in Europe on common policy and societal challenges facing the current global system. The stewardship of the doctoral programme is in the hands of the Institut d’Etudes Européennes at the Université Libre de Bruxelles (IEE-ULB). 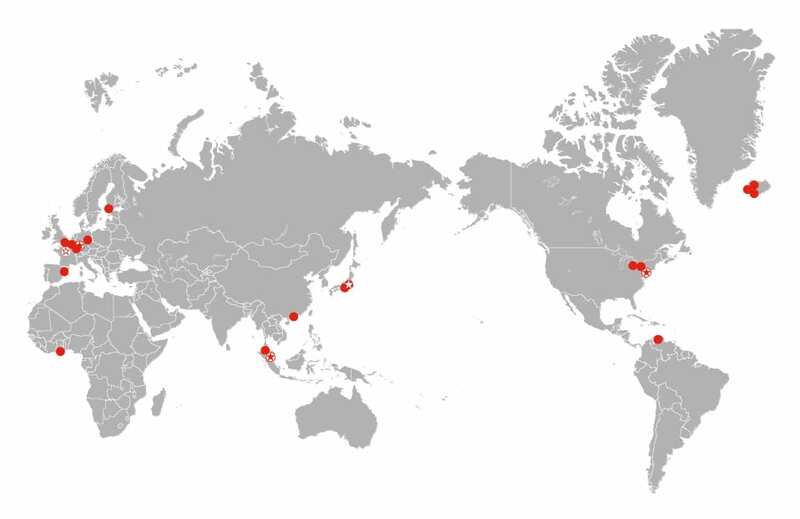 In total, the GEM Ph.D. School brings together a unique set of nine leading research institutions from across the globe, such as the Institut Européen at the Université de Genève (UNIGE), PAIS at the University of Warwick and IAPS at Waseda University in Tokyo. Being one of the three associate institutions, UNU-CRIS offers students of the GEM Ph.D. School a short stay in their third year with an eye on furthering their research. The Universidad Andina Simón Bolívar (UASB) and UNU-CRIS co-organise an annual Doctoral Summer School entitled “Latin American, European and Comparative Regionalism” in Quito, Ecuador. The Doctoral School lasts one week and is bi-lingual (English and Spanish). The aim is to create a network of Ph.D. and other young researchers dealing with regionalism from all over the Latin American continent and beyond.